Can you believe the 2014 season is over? After 16 weeks of excitement and turmoil, we've got our champions. If you were one of the winners, congratulations on your success. If you were not a winner, good luck next year. Now, let's analyze the Tight Ends of 2014, and rank how they did in weeks 14-16. 1) Rob Gronkowski (duh) was the most consistent and highest scoring player at tight end. He was a beast in 2014, and when healthy, is heads and shoulders above the rest. 2) Antonio Gates had a resurgence, scoring nearly 15 ppg in the playoffs. 3) Greg Olsen, Travis Kelce, and Martellus Bennett really disappointed in championship week. 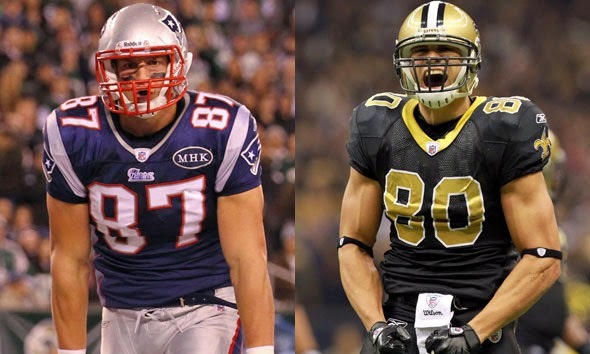 4) Jason Witten and Jimmy Graham had decent, but not spectacular, playoff runs. 5) Dwayne Allen, Larry Donnell, and Kyle Rudolph struggled mightily. A) The 2014 TE class contributed almost nothing to the 2014 season. However, look for Amaro, Ebron, and Seferian-Jenkins to take a step up in 2015. Along with Jordan Cameron and Jordan Reed, they are buy low candidates. B) Zach Ertz, Travis Kelce, Coby Fleener, Dwayne Allen, and Michael Rivera all look like solid long term options. C) How much longer can Gates, Olsen, Wilson, and Miller keep up the great play? Where did Vernon Davis go? D) Some deeper sleepers could emerge in 2015, including Josh Hill, Richard Rodgers, and Luke Willson, so keep an eye on the waivers this offseason.